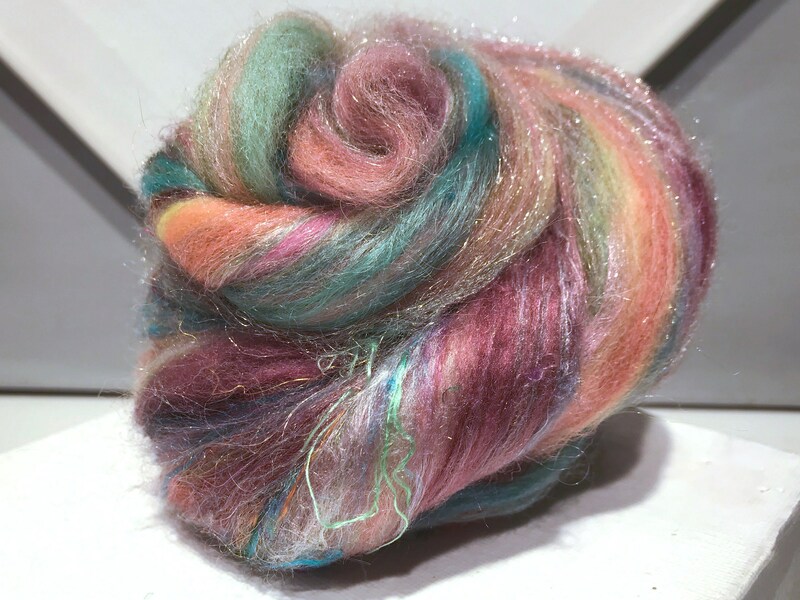 When working on all kinds of projects, we generate a good bit of scrap fibers. As we work, we sort them into neutrals, pastels, and vivid hues. 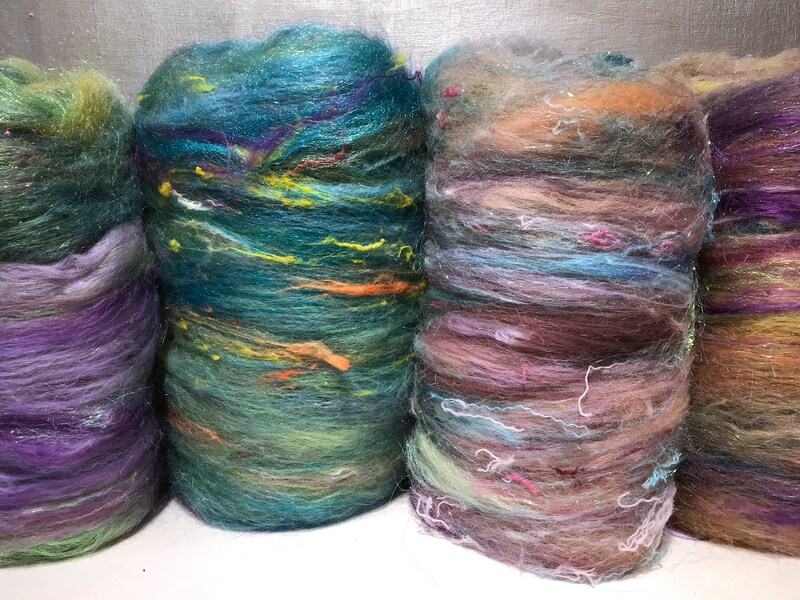 We card all those little bits we have left over from carding, dyeing, spinning, knitting, crocheting, felting. 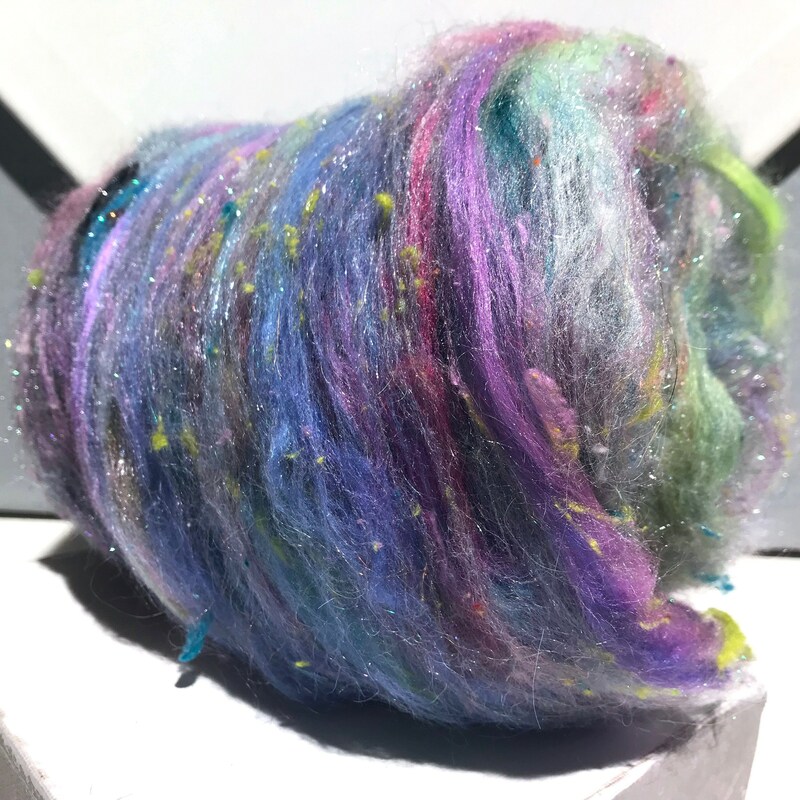 They are bumpy and lumpy and oh, so fun to spin and felt! 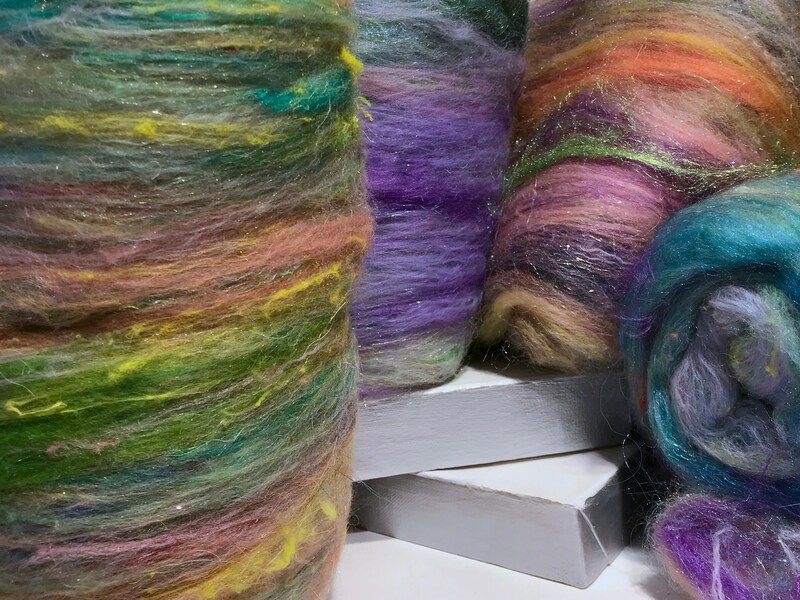 Order one ounce, or many, but know that your batt will be a surprise! 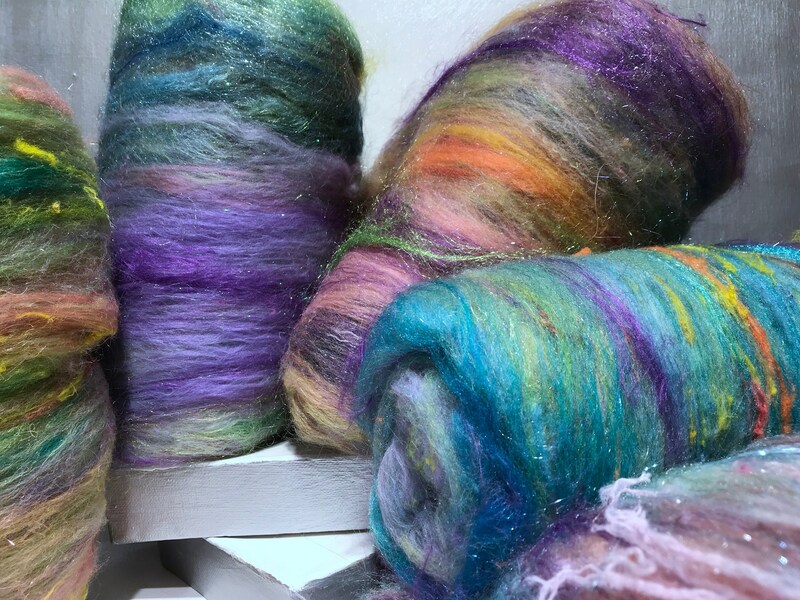 Available colors depend largely on what we have carded and dyed of late. 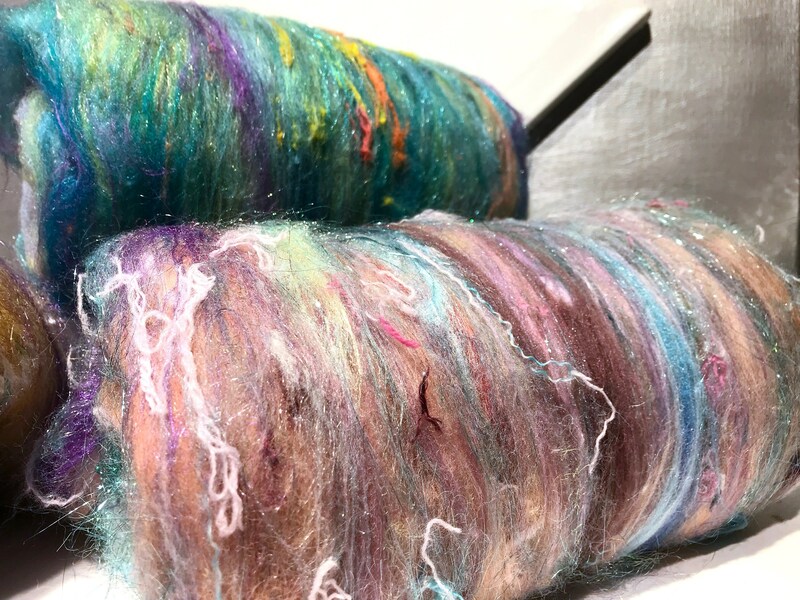 If you order *multiple* batts, please let us know if you want one, large batt or multiple mini batts. 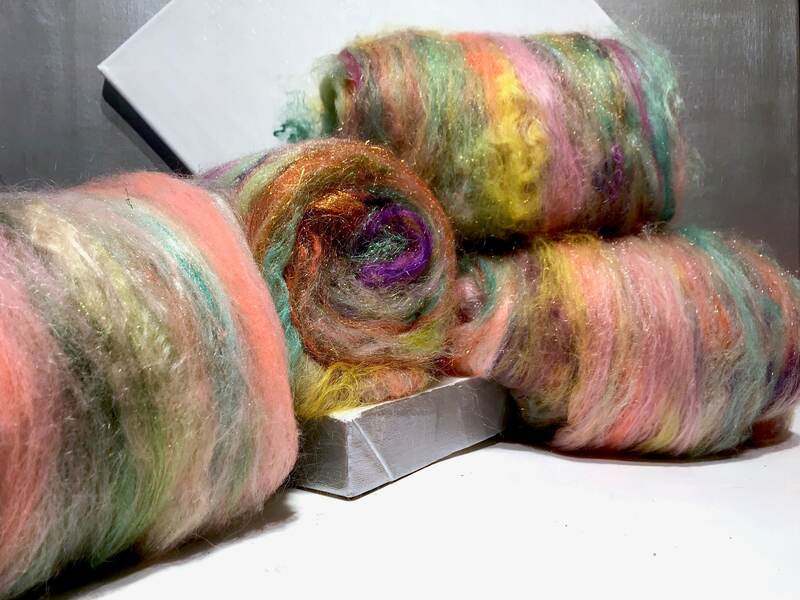 If there is no preference indicated, we will send individual batts. Would you prefer that we create rolags for you? 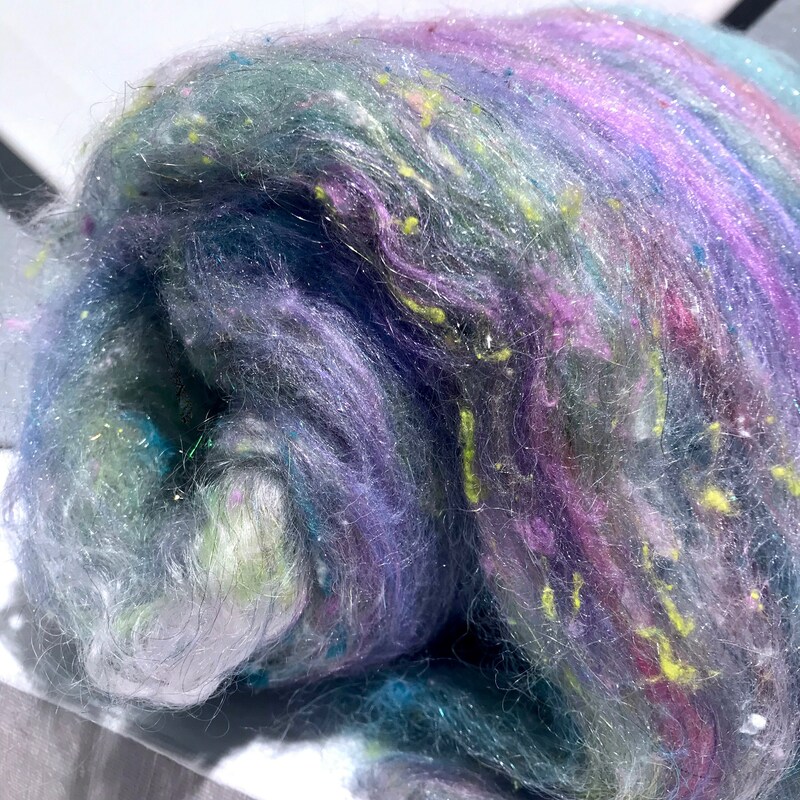 I received this beautiful pastel palette of fibers and xpect I will Be making something really special soon! 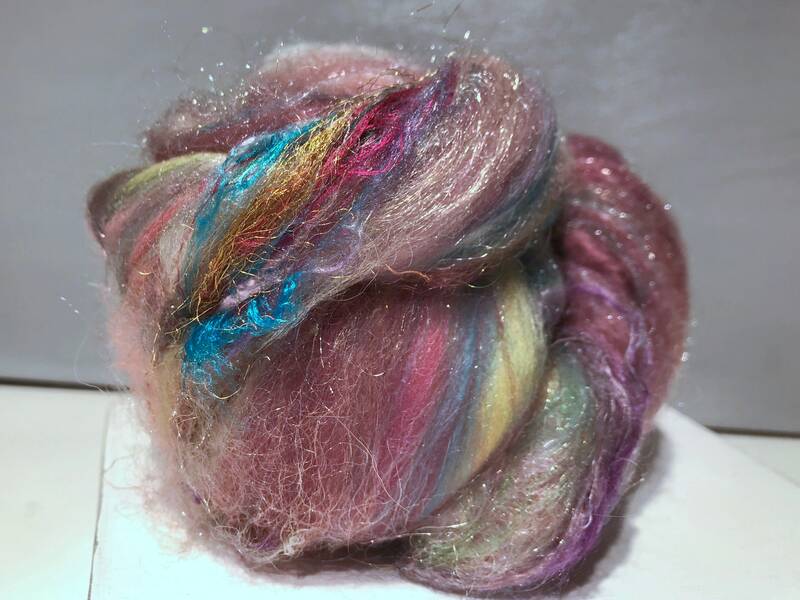 This is a gorgeous blend of pastel fibers. They are so pretty! Nice customer service, too! This really is a palette of the most beautiful pastels as well as incredible textures! Love it!